It's Fall! That means deeper, vampier makeup, yay! I wanted to share a look with you that I wore to an evening Fundraiser for my Non Profit Organization. 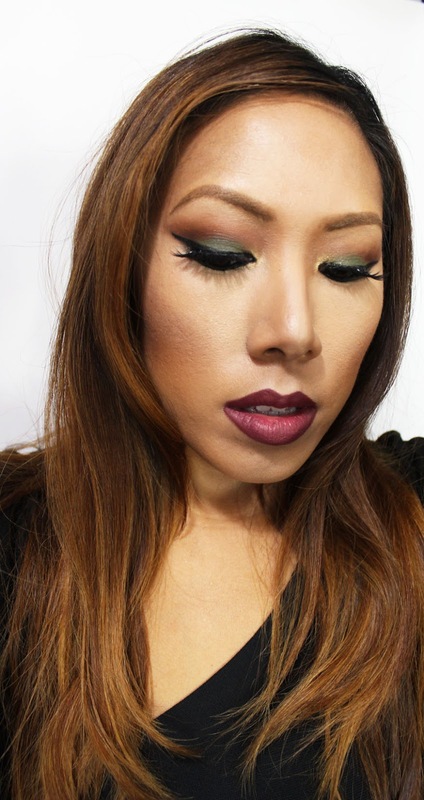 I wanted to challenge myself to use new eyeshadow shades, green! Check it out! I already knew that I'd be wearing an all black outfit to my Salsa for A Cause Fundraiser. As I was looking through some of my old eyeshadow palettes, I spotted a gorgeous deep, forest green eyeshadow from Limelight Alcone. I knew that I wanted this to be the highlight of my look. 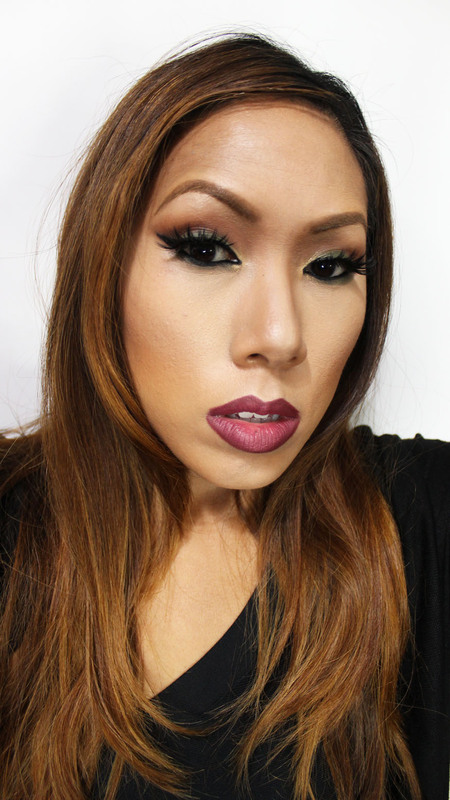 I paired it with a warm brown in my crease as well as a shimmery gold in my tearduct. The lashes are Goddess from Lady Moss Beauty. Hope you enjoyed! Till next, time Ciao Bellas!